New York Film Festival 2018 (Sept. 28-Oct. 14). Opening, Centerpiece, closing night films. New York, NY (July 23, 2018) – The Film Society of Lincoln Center announces Yorgos Lanthimos’s The Favourite as Opening Night of the 56th New York Film Festival (September 28 – October 14), making its New York premiere at Alice Tully Hall on Friday, September 28, 2018. The Favourite is a Fox Searchlight Pictures release and opens November 23, 2018. New York Film Festival Director and Selection Committee Chair Kent Jones said, "The Favourite is a lot of things at once, each of them perfectly meshed: a historical epic; a visual feast; a wild, wild ride; a formidable display of the art of acting from Rachel Weisz, Emma Stone, and Olivia Colman, abetted by a brilliant cast; a tour de force from Yorgos Lanthimos. And… it’s a blast. We’re very excited to have it as our opening night film." The Academy Award-winning director's vibrant, epic drama makes its New York Premiere as the official Centerpiece selection. In Cuarón’s autobiographically inspired film, set in Mexico City in the early ’70s, we are placed within the physical and emotional terrain of a middle-class family whose center is quietly and unassumingly held by its beloved live-in nanny and housekeeper. Netflix will distribute the film. Last edited by Chris Knipp; 09-10-2018 at 09:20 PM. "Willem Dafoe leads the brilliant cast, which also includes Oscar Isaac, Rupert Friend, Mathieu Amalric, Emmanuelle Seigner, and Mads Mikkelsen." "At Eternity’s Gate is such a surprising film, for all kinds of reasons. 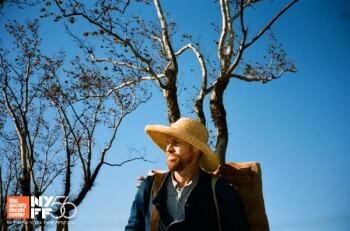 Julian Schnabel makes use of the most up-to-date information about Vincent van Gogh, altering our accepted ideas of how he lived and died; he grounds the film in the very action of painting, the intense contact between an artist and the world of forms and textures colored by light; and he gives us Willem Dafoe’s performance as Vincent—acting this pure is endlessly surprising." – Kent Jones, NYFF Director and Selection Committee Chair. Last edited by Chris Knipp; 08-01-2018 at 04:24 PM. Last edited by Chris Knipp; 08-07-2018 at 03:42 PM. New York Film Festival Main Slate: Descriptions of the films. CK COMMENTS are made before seeing the films but after reading about them. I would not take my own comments in this vein very seriously, but they may provide some useful information. NYFF Special Events, Spotlight on Documentary, Retrospective, Revivals, Convergence, Shorts, and Projections sections, as well as filmmaker conversations and panels, will be announced in the coming weeks. Tickets for the 56th New York Film Festival will go on sale to the general public on September 9. Festival and VIP passes are on sale now and offer one of the earliest opportunities to purchase tickets and secure seats at some of the festival’s biggest events, including Opening and Closing Night. Learn more at filmlinc.org/NYFF56Passes. Press and industry accreditation for NYFF56 is open now and closes August 13th; apply at filmlinc.org/press. In Yorgos Lanthimos’s wildly intricate and very darkly funny new film, Sarah Churchill, the Duchess of Marlborough (Rachel Weisz), and her servant Abigail Hill (Emma Stone) engage in a sexually charged fight to the death for the body and soul of Queen Anne (Olivia Colman) at the height of the War of the Spanish Succession. This trio of truly brilliant performances is the dynamo that powers Lanthimos’s top-to-bottom reimagining of the costume epic, in which the visual pageantry of court life in 18th-century England becomes not just a lushly appointed backdrop but an ironically heightened counterpoint to the primal conflict unreeling behind closed doors. A Fox Searchlight Pictures release. CK COMMENT: Not sure exactly why the British spelling of the one-word title, but this is featured at the coming LFF too, and I might see it there. Despite the great praise heaped upon Lantimos' work, his The Lobster (NYFF 2015) struck me as cruel and mean-spirited - and also, as Richard Brody pointed out, pompous nonsense about a non-issue. I am not a fan. But he is brilliant, and I have to admit I found his more conventional film of last year, The Killing of a Sacred Deer , rather enjoyable. I want to see The Favouirite. It sounds very entertaining. In Alfonso Cuarón’s autobiographically inspired film, set in Mexico City in the early ’70s, we are placed within the physical and emotional terrain of a middle-class family whose center is quietly and unassumingly held by its beloved live-in nanny and housekeeper (Yalitza Aparicio). 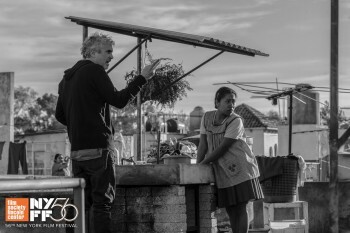 The cast is uniformly magnificent, but the real star of ROMA is the world itself, fully present and vibrantly alive, from sudden life-changing events to the slightest shifts in mood and atmosphere. Cuarón tells us an epic story of everyday life while also gently sweeping us into a vast cinematic experience, in which time and space breathe and majestically unfold. Shot in breathtaking black and white and featuring a sound design that represents something new in the medium, ROMA is a truly visionary work. A Netflix release. CK COMMENT: This film debuted at Toronto, also showing at Venice. The theme of the nanny or maid who is central to the life of a bourgeois or well-off family is a familiar one in Latin American movies. A thrillingly original variation in this year's New Directors/New Films was Brazilians Marco Dutra and Juliana Rojas' Good Manners. "Netflix Release" may mean this is one of the films recently squeezed out of Cannes because the festival doesn't support movies calling themselves movies that aren't primarily big screen releases. If you think about it, Cannes is right. If it's not on a big screen, it's not a movie; it's a TV show. IMDb says the release of this is "14 Dec. 2018 - (internet)" which Sounds like straight-to-video, but Netflix says it will release it in theaters too. Netflix rules now: it has four Main Slate NYFF 2018 films. Magnolia only one. ROMA has had nothing but raves. I want to see it, for sure but I may be willing to wait. Julian Schnabel’s ravishingly tactile and luminous new film takes a fresh look at the last days of Vincent van Gogh, and in the process revivifies our sense of the artist as a living, feeling human being. Schnabel; his co-writers Jean-Claude Carrière and Louise Kugelberg, also the film's editor; and cinematographer Benoît Delhomme strip everything down to essentials, fusing the sensual, the emotional, and the spiritual. And the pulsing heart of At Eternity’s Gate is Willem Dafoe’s shattering performance: his Vincent is at once lucid, mad, brilliant, helpless, defeated, and, finally, triumphant. With Oscar Isaac as Gauguin, Rupert Friend as Theo, Mathieu Amalric as Dr. Gachet, Emmanuelle Seigner as Madame Ginoux, and Mads Mikkelsen as The Priest. A CBS Films release. CK COMMENT: Debuted at Venice. This arouses some suspicions nowadays being an English-language film with French characters. It alsofollows in the wake of the Vincent Cassel Gauguin film earlier this year, in the right languages, but still ringing false. Puff-words like "ravishingly tactile and luminous" don't totally convince. Schnabel made three great movies, till Miral, which seemed made to please his girlfriend. The motley cast of the new one, again nowadays, fails to impress. But I hope I am wrong and that it's a return to quality for Schnabel. It has been bought by CBS. Iranian director Jafar Panahi’s fourth completed feature since he was officially banned from filmmaking is one of his very best. Panahi begins with a smartphone video shot by a young woman (Marziyeh Rezaei) who announces to the camera that her parents have forbidden her from realizing her dream of acting and then, by all appearances, takes her own life. The recipient of the video, Behnaz Jafari, as herself, asks Panahi, as himself, to drive her to the woman’s tiny home village near the Turkish border to investigate. From there, 3 Faces builds in narrative, thematic, and visual intricacy to put forth a grand expression of community and solidarity under the eye of oppression. CK COMMENT: Another Cannes Competition film. My Filmleaf Cannes-remote comment: "A Filmstage review (by Giovanni Marchini Camia) calls this 'a loose, empathetic, ultimately minor work,' and that is the general critics' opinion. They note that it draws on Iranian cinematic tradition, but disappointingly eschews Panahi's own more adventurous stylistic strategies. Bradshaw called it 'calm, modest – and inscrutable' and gave it 3/5 stars. Panahi's fourth film made since he was banned from making them, this again premiered with an empty seat in his honor because he has no passport to leave Iran. In the film Panahhi appears driving an SUV, and it's a road trip movie with references to suicide, women with acting aspirations, and male chauvinism. It has meta-narrative aspects, but 'staggers along,' says Eric Kohn in his Indiewire review, in a film that echoes Kiarostami but lacks his warmth and charm. One gets the impression this is a distinctive but definitely minor effort. Not excited about this one but, of course, one must follow Panahi." A truly original Vertigo riff, based on a novel by Tomoka Shibasaki, Asako I & II is an enchanting, unnerving paean to the notion of love as a trance state. Asako (Erika Karata) and Baku (Masahiro Higashide) share an intense, all-consuming romance—but one day the moody Baku ups and vanishes. Two years later, having moved from Osaka to Tokyo, Asako meets Baku’s exact double. Ryûsuke Hamaguchi, who gained plenty of attention for 2015’s five-hour-plus Happy Hour, has returned with a beguiling and mysterious film that traces the trajectory of a love—or, to be accurate, two loves—found, lost, displaced, and regained. A Grasshopper Film release. CK COMMENT: This was in Competition at Cannes, which some thought early for this young filmmaker to be so honored, but his very long Happy Hour (ND/NF 2016) was great, even if it went on a bit long. This new one was thought by some Cannes critics to be a letdown after Happy Hour, but nonetheless made it onto a late Jury Grid, if only with a 2.4, above Sorry Angel but below six other films. My Filmleaf Cannes-remote commentary: "It's an "earnest romance," says Bradshaw in his Guardian review, that "switches things up by having a woman obsessed with a man’s beauty and then falling for his double." 3/5 stars nonetheless. This is a less provocative or unusual followup to the director's 5-hour Happy Hour (ND/NF 2016 Filmleaf), which palled a bit for me in the last couple of hours, but was quite wonderful for a long time, and in its patient, immersive detail, bold and original. Variety (Maggie Lee) and others agree on the difference, but it seems the point is the woman's inability to choose between two very alike looking men, but a more interesting novel source turns to "a banal indecision" here, says Lee. This ranks around 8th on the Jury Grid. The theme appeals to me." Jia Zhangke’s extraordinary body of work has doubled as a record of 21st-century China and its warp-speed transformations. A tragicomedy in the fullest sense, Ash Is Purest White is at once his funniest and saddest film, portraying the passage of time through narrative ellipses and, like his Mountains May Depart (NYFF53), a three-part structure. Despite its jianghu—criminal underworld—setting, Ash is less a gangster movie than a melodrama, beginning by following Qiao and her mobster boyfriend Bin as they stake out their turf against rivals and upstarts in 2001 postindustrial Datong before expanding out into an epic narrative of how abstract forces shape individual lives. As the formidable, quick-witted Qiao, a never better Zhao Tao has fashioned a heroine for the ages. A Cohen Media Group release. CK COMMENT: From Cannes Competition. My remote Cannes coverage Filmleaf commentary: "Zhao Tao and Liao Fan star in Jia Zhang-ke's chronicle of the relationship between a low-level Chinese crook and the woman who goes to prison for him (David Rooney, Hollywood Reporter). It received a 'mild standing ovation. Peter Bradshaw of the Guardian gave it 4/5 stars: 'Jia Zhang-ke’s latest is an often glorious drama about how one woman’s journey from self-sacrificial moll to avenging criminal echoes her country’s embrace of capitalism.' Davis Erlich in his Indiewirelreview found it 'a long and melancholy rehash' of other better work by Jia. I will have to watch it and find out for myself." In fact, Jia's oeuvre isn't something I'd want to lose track of. If pressed, it won't be a priority here, though. Here’s something new from the Coen Brothers — an anthology of short films based on a fictional book of "western tales," featuring Tim Blake Nelson as a murderous, white-hatted singing cowboy; James Franco as a bad luck bank-robber; Liam Neeson as the impresario of a traveling medicine show with increasingly diminishing returns; Tom Waits as a die-hard gold prospector; Zoe Kazan and Bill Heck as two shy people who almost come together on the wagon trail; and Tyne Daly, Saul Rubinek, Brendan Gleeson, Chelcie Ross, and Jonjo O’Neill as a motley crew on a stagecoach to nowhere. Each story is distinct, but unified by the thematic thread of mortality. As a whole movie experience, Buster Scruggs is wildly entertaining, and, like all Coen films, endlessly surprising. An Annapurna Production and Netflix release. CK COMMENT: This is described on IMDb as a TV mini-series, but it is only 2 hours 12 minutes long. In any case, it's quite likely to be fun. The Coens' films aren't equally memorable, though, and the brothers may be suffering from overproduction. Probably this will be either on your TV or in your local theater, so at the NYFF, it's not a must-see. Expanded from Haruki Murakami’s short story "Barn Burning," the sixth feature from Korean master Lee Chang-dong, known best in the U.S. for such searing, emotional dramas as Secret Sunshine (NYFF45) and Poetry (NYFF48), begins by tracing a romantic triangle of sorts: Jongsu (Yoo Ah-in), an aspiring writer, becomes involved with a woman he knew from childhood, Haemi (Jun Jong-seo), who is about to embark on a trip to Africa. She returns some weeks later with a fellow Korean, the Gatsby-esque Ben (Steven Yeun), who has a mysterious source of income and a very unusual hobby. A tense, haunting multiple-character study, the film accumulates a series of unanswered questions and unspoken motivations to conjure a totalizing mood of uncertainty and quietly bends the contours of the thriller genre to brilliant effect. A Well Go USA release. CK COMMENT: Not only the top rated Competition film at this year's Cannes, but a record 3.8 rating on the ScreenDaily "Jury Grid." It sounds fabulously good. I'm sorry to see that another highly rated Cannes film, Garrone's Dogman, isn't on the NYFF Main Slate. Magnolia has picked up the rights to it and plans a 2019 release, at least. Too bad it's not here, however: we need to see and celebrate the best new Italian cinema. Dogman has two superb performances, the dog (who got the DogPalm at Cannes) and Marcello Fonte, who won the acting award there for his performance in the nerdy, scrounge-y lead role of Marcello. Excited to see Burning - and (eventually) Dogman. Academy Award–winner Paweł Pawlikowski follows up his box-office sensation Ida with this bittersweet, exquisitely crafted tale of an impossible love. Set between the late 1940s and early 1960s, Cold War is, as the title implies, a Soviet-era drama, but it stringently and inventively avoids the clichés of many a classical-minded World War II art film, tracking the tempestuous love between pianist (Tomasz Kot) and singer (Joanna Kulig) as they navigate the realities of living in both Poland and Paris, in and outside of the Iron Curtain. Shot in crisp black-and-white and set to a bewitching jazzy score, Pawlikowski’s evocative film consummately depicts an uncompromising passion caught up in the gears of history. An Amazon Studios release. CK COMMENT: Another high-rated film from Cannes competition, and as they say, finely crafted, as was Ida, which everyone admired. Many thought it was the best at Cannes and would win. It didn't. You can review the Filmleaf Cannes-remote coverage of the Cannes Competition rankings and winners HERE. The Filmleaf Cannes-remote notes on Cold War: "Followup to Ida, says Guy Lodge in his Variety review, is 'another immaculate monochrome study of midcentury Polish discontent," like his Best Foreign Oscar winner Ida, but adds that "this star-crossed, jazz-infused romance moves to its own rhythm.' David Erlich in Indiewire calls this 'one of the bleakest love stories ever told' and makes Ida seem cheery. Tim Robey of the Telegraph says it's more personal than Ida. For anyone who liked Ida this will be a must-see. " Nine years after she left him for his best friend, journalist Abel (Louis Garrel) gets back together with his recently widowed old flame Marianne (Laetitia Casta). It seems to be a beautiful new beginning, but soon the hapless Abel finds himself embroiled in all sorts of dramas: the come-ons of a wily jeune femme (Lily-Rose Depp), the machinations of Marianne’s morbid young son, and some unsavory questions about what exactly happened to his girlfriend’s first husband. Shifting points of view as nimbly as its players switch partners, the sophomore feature from actor/director Louis Garrel—co-written with the legendary Jean-Claude Carrière — is at once a beguiling bedroom farce and a slippery inquiry into truth, subjectivity, and the elusive nature of romantic attraction. CK COMMENT: For his first time as a director Louis Garrel collaborated with Christophe Honoré for the writing; Carrière is an older, more established, "legendary" screenplay collaborator, and this bids fair to be a logical (rapid) progression from Garrel's recent directorial debut, Two Friends/Les Deux amis, moving along to a less young-man aspect of relationships. I'm a fan of Garrel, and his talky, frenetic debut had class without pretension. This New York screening is way ahead of the 20 March 2018 French release date. I want to see it. Since his 2012 feature When Night Falls, a stinging critique of state power that the Chinese authorities attempted to suppress, the director Ying Liang has been forced to live in exile in Hong Kong. His return to feature filmmaking is a characteristically precise and powerful work, and, as inspired by his own precarious situation and based on a reunion with his in-laws, an autobiographical one. The film follows a Hong Kong–exiled director (Gong Zhe) as she travels to a film festival in Taiwan with her husband and toddler, while her ailing mother (Nai An) vacations there separately with a tour group. To avoid attracting attention, the family shadows the tour’s sightseeing itinerary, visiting each other during photo stops and mealtimes. An empathetic snapshot of a mother-daughter relationship, this brave, poised film is also a deeply moving testament to the inseparability of the personal and the political. CK COMMENT: Jay Weissberg's Variety review witten at this film's August Locarno debut calls this "highly intelligent" and the director's "most polished work to date." His early Taking Father Home is discussed by Richard Brody online for The New Yorker. He says Liang is one of the most exciting young directors in the world today; and needs our support, because his realistic depiction of the ugly side of mainland China today has got him in big trouble at home. I will remind faithful readers of Filmleaf (like me) that Travis Kirby, writing for Filmleaf 12 years ago at the SFIFF, found Taking Father Home distractingly, embarrassingly crude. A decade in the making, Mariano Llinás’s follow-up to his 2008 cult classic Extraordinary Stories is an unrepeatable labor of love and madness that redefines the concept of binge viewing. The director himself appears at the start to preview the six disparate episodes that await, each starring the same four remarkable actresses: Elisa Carricajo, Valeria Correa, Pilar Gamboa, and Laura Paredes. Overflowing with nested subplots and whiplash digressions, La Flor shape-shifts from a B-movie to a musical to a spy thriller to a category-defying metafiction—all of them without endings—to a remake of a very well-known French classic and, finally, to an enigmatic period piece that lacks a beginning (granted, all notions of beginnings and endings become fuzzy after 14 hours). An adventure in scale and duration, La Flor is a marvelously entertaining exploration of the possibilities of fiction that lands somewhere close to its outer limits. CK COMMENT: Extraordinary Stories was in the New York Latinbeat Festival and was an ambitious, complex work, four hours long. I did not see it, and it has not had a lot of press, but you may be able to find it. What I have seen suggests something very literary, very thoughtful. The blurb exaggerates: this new one isn't fourteen hours long - only thirteen and a half. I'm not planning to watch it at the festival. As my friend Turaj used to say, maybe later - maybe much, much later. Sitting in a café, typing on a laptop, Areum (Kim Min-hee) eavesdrops on three dramatic situations unfolding in her general vicinity: a young woman bound for Europe and a male friend who erupt in vitriolic accusations, a washed-up actor trying to sweet-talk his way into staying with an old friend, and a narcissistic actor-director (Jung Jin-young) trying to rope a young writer into his next project. Playing out largely in long-take two-shots, these conversations create a kind of never-ending theatrical performance, with Areum as the anchor. With its raw emotions and seeming formal simplicity masking a complex episodic approach, Grass finds Korean master Hong Sangsoo setting up a fascinating narrative problem for himself and solving it as only he can. A Cinema Guild release. CK COMMENT: Again, I welcome Hong, especially with Kim Min-hee, and this one has a distributor, indicating more mainstream appeal, presumably. Indiewire (David Ehrlich) says this 66-min. film is "for fans only," but Variety (Jessica Kiang) says Hong " packs a surprising level of engaging complexity into this deceptively modest hour-long package." Hong is an acquired taste this writer has acquired. I always have time for his films. In the transfiguring and transfixing third feature from Alice Rohrwacher (The Wonders, NYFF52), we find ourselves amid a throng of tobacco farmers living in a state of extreme deprivation on an estate known as Inviolata, with wide-eyed teenager Lazzaro (nonprofessional discovery Adriano Tardiolo) emerging as a focal point. Although this all seems to be taking place in the past (as implied by the warm grain of Hélène Louvart’s 16mm cinematography), a stunning mid-movie leap vaults the narrative squarely into the present day and into the realm of parable. In a fable touching on perennial class struggle with Christian overtones, Rohrwacher summons the spirit of Pasolini, while also nodding to Ermanno Olmi and Visconti. A Netflix release. CK COMMENT: Boyd van Hoeij in his Cannes Hollywood Reporter review called this "half a good movie," and that goes for my reaction to Rohrwacher's other films; but their good halves are really good. Not obligatory though. The latest from Alex Ross Perry (Listen Up Philip, NYFF52) traces the psychology of an unforgettable woman under the influence. Becky Something (Elisabeth Moss, in a powerhouse performance), the influential lead singer of a popular ’90s alt-rock outfit, struggles with her demons as friends, family, and bandmates alike behold her unraveling through a prism of horror, empathy, and resentment. Perry tracks Becky’s self-destruction—and potential creative redemption—through snaking long takes (arguably some of DP Sean Price Williams’s finest work) in claustrophobic backstage hallways, garishly lit dressing rooms, and recording studios, and the film’s ensemble cast (including Cara Delevingne, Ashley Benson, Amber Heard, Virginia Madsen, Dan Stevens, and Eric Stoltz) is impeccable in support of Moss’s rattling trip to the brink. CK COMMENT: Alex Ross Perry has been a darling of the New York Film Festival who represents a kind of sophisticated young American, particularly East Coast, sensibility the NYFF needs to support and in a sense one of their responsibilities. It may not be yours. But on the other hand, Elizabeth Moss has been on a roll lately, and could really be something to watch in this. It's been a while since I've seen Eric Stolz, who's forever enshrined in my mind for his part in Pulp Fiction. I'll pass on this, though. Claire Denis’s latest film is set aboard a spacecraft piloted by death row prisoners on a decades-long suicide mission to enter and harness the power of a black hole. But as is always the case with this filmmaker, the actual structure seems to evolve organically through moods and uncanny spells, and the closest juxtapositions of violence and intimacy. High Life features some of the most unsettling passages Denis has ever filmed, as well as moments of the greatest delicacy and tenderness. With Robert Pattinson, Juliette Binoche, André Benjamin, and Mia Goth. CK COMMENT: Claire Denis' first film in English. She has a good knowledge of English. " Nick Laird co-wrote the screenplay for the film. Additionally Laird's wife Zadie Smith contributed to early drafts of the English version of the screenplay" (Wikipedia entry on the film). A big fan of Claire Denis - she is one of my favorite French directors - I would put this on my must-see list. Two tales intersect at a riverside hotel: an elderly poet (Ki Joo-bong), invited to stay there for free by the owner, summons his two estranged sons, sensing his life drawing to a close; and a young woman (Kim Min-hee) nursing a recently broken heart is visited by a friend who tries to console her. At times these threads overlap, at others they run tantalizingly close to each other. Using a stark black-and-white palette and handheld cinematography (with frequent DP Kim Hyung-ku), Hong crafts an affecting examination of family, mortality, and the ways in which we attempt to heal wounds old and fresh. CK COMMENT: The NYFF has been a longtime champion of Hong Sang-soo, and I know his work through chiefly Lincoln Center. He is becoming even more fluent and productive, and the FSLC is showing more Hong. That's fine with me. I really like his work. Why stop now? Barry Jenkins’s follow-up to his Oscar-winning Moonlight is a carefully wrought adaptation of James Baldwin’s penultimate novel, set in Harlem in the early 1970s. Fonny (Stephan James) and Tish (KiKi Layne) are childhood friends who fall in love as young adults. Tish becomes pregnant, and Fonny suffers a fate tragically common to young African-American men: he is arrested and convicted for a crime he didn’t commit. Jenkins’s deeply soulful film stays focused on the emotional currents between parents and children, couples and friends, all of whom spend their lives repairing and reinforcing the precious but fraying bonds of family and community in an unforgiving racist world. With Regina King, Colman Domingo, Teyonah Parris, Aunjanue Ellis, and Michael Beach. An Annapurna Pictures release. CK COMMENT: Have not heard anything about this or the James Baldwin novel but I admire James Baldwin and his elegant prose style. I also liked Moonlight; so did the Academy (Best Picture Oscar). I'll have to look further into this new one. You know what? Joyce Carol Oates reviewed Baldwin's If Beale Street Could Talk for the NYTimes in 1974, when it came out. She called it "vividly human" and "timeless." I must-see, but it will be in theaters soon. Jean-Luc Godard’s "late period" probably began with 2001’s In Praise of Love, and since then he has been formulating and enacting a path toward an ending: the ending of individual films, the ending of engagement with cinema, and, now that he’s 87, the possible ending of his own existence. 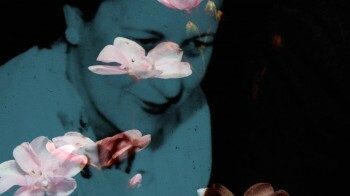 With The Image Book all barriers between the artist, his art, and his audience have dissolved. The film is structured in chapters and predominantly comprised of pre-existing images, many of which will be familiar from Godard’s previous work. The relationship between image and sound is, as always, intensely physical and sometimes jaw-dropping. And…isn’t it enough to say, simply, that this is the work of a master? And that you have to see it? A Kino Lorber release. CK COMMENT: Well, they said it, and the words "must see" are in there. But I would not put it at the very top of my must-see list. Because it's not Jane Austen, if you know what I mean. Late Godard films are rich and complex but without any conventional narrative hook at all and pretty much interchangeable except for the devotee. The fourth feature from German director Ulrich Köhler (Sleeping Sickness, NYFF49) takes a disarmingly realistic and restrained approach to a fantastical premise: the eternally popular fantasy of the last man on earth. Sad-sack, 40ish TV cameraman Armin (Hans Löw) has been summoned home by his father to help tend to his terminally ill grandmother, but awakens one morning to find the world around him entirely depopulated. Eventually, the film introduces a fellow survivor, an Eve (Elena Radonicich) to complicate the apparent contentment of its Adam. In My Room is a film of meticulous details and sly, subtle ironies, crafted by the skills, temperament, and philosophical inquiry of an emerging master. A Grasshopper Film release. CK COMMENT: This debuted at Cannes in Un Certain Regard. It makes me think of the Swedish director, Roy Andersson, and I want to see this. It is likely to be pure pleasure. As proven by his knockout debut, Kaili Blues, Bi Gan is preoccupied with film’s potential to both materialize mental space and convey physical sensation. His cinematic ambitions are further crystallized, to say the least, in Long Day’s Journey Into Night, a noir-tinged film about a solitary man (Huang Jue) haunted by loss and regret, told in two parts: the first an achronological mosaic, the second a nocturnal dream. Again centering around his native province of Guizhou in southwest China, the director has created a film like nothing you’ve seen before, especially in the second half’s hour-long, gravity-defying 3D sequence shot, which plunges its protagonist—and us—through a labyrinthine cityscape. CK COMMENT: This is another Cannes one, shown Out of Competition there. It was that special thrill of discovery that you live for as a film critic to watch Bi Gan's Kaili Blues at a little screening of New Directors/New Films two years ago and discover a new vision, someone who works his own magic with a camera. That's what it's all about. Of course this is a must-see. Every new film from Frederick Wiseman, now 88 years old, seems more vigorous and acute than the last. His subject here is Monrovia, Indiana; population 1063, as of 2017; located deep in the American heartland. Wiseman alights on key activities: talk among friends over coffee at the diner, packaging meat at the supermarket, trucks loading with corn, expansion debates at town planning commission meetings, and, most intriguingly, a funeral. Monrovia, Indiana is a tough, piercing look at the rhythm and texture of life as it is lived in a wide swathe of this country. A Zipporah Films release. CK COMMENT: Frederick Wiseman, the tireless, ageless, relentless documentary filmmaker, has been selected many times by the festival, starting with his risky first documentary, Titicut Follies. Set within the world of publishing, Olivier Assayas’s new film finds two hopelessly intertwined couples—Guillaume Canet’s troubled book executive and Juliette Binoche’s weary actress; Vincent Macaigne’s boorish novelist and Nora Hamzawi’s straight-and-balanced political operative—obsessed with the state of things, and how (or when) it will (or might) change. Is print dying? Has blogging replaced writing? Is fiction over? But the divide between what these characters—and their friends, and their enemies, and everyone in between—talk about and what is actually happening between them, moment by moment, is what gives Non-Fiction its very particular charm, humor, and lifelike stabs of emotion. A Sundance Selects release. CK COMMENT: This comes out in France 16 Jan. 2019. It sounds complicated enough to be a Arnaud Desplechin plot. Assayas is capable of making a marvelous film. We'll see, hopefully. . In Tamara Jenkins’s first film in ten years, Kathryn Hahn and Paul Giamatti are achingly real as Rachel and Richard, a middle-aged New York couple caught in the desperation, frustration, and exhaustion of trying to have a child, whether by fertility treatments or adoption or surrogate motherhood. They find a willing partner in Sadie (the formidable Kayli Carter), Richard’s niece by marriage, who happily agrees to donate her eggs, and the three of them build their own little outcast family in the process. Private Life is a wonder, by turns hilarious and harrowing (sometimes at once), and a very carefully observed portrait of middle-class Bohemian Manhattanites. With John Carroll Lynch and Molly Shannon. A Netflix release. CK COMMENT: This debuted at Sundance opening night and was very well received. It sounds like an interesting film, and has high Metascore (81%). Theatrical release coming September 21, 2018. I think wide release, so it's not necessary to see it at a film festival; it will be in a theater near you. Guess what? This is the first NYFF that has two directors named Jenkins in its Main Slate. English photographer and visual artist Richard Billingham’s first feature is grounded in the visual and emotional textures of his family portraits, particularly those of his deeply dysfunctional parents, whose names give the film its title. Billingham builds astonishing and unflinching scenes with his principal actors—Ella Smith as Liz, Justin Salinger as Ray, Patrick Romer as the older Ray, Tony Way and Sam Gittins as neighbors, and Joshua Millard-Lloyd as the youngest child—that play out second by second as if by some new form of direct transmission from the artist’s memory bank. There is not a single second of this electrifying debut that doesn’t feel 100% rooted in personal experience. CK COMMENT: As one might guess, this raw lower-class slice of life comes from Locarno, a festival that's been a frequent FSLC source for the edgier stuff. Leslie Felperin's Variety review says "its key antecedent is his acclaimed mid-1990s series of snaps of his alcoholic dad Ray, chain-smoking mom Liz and younger brother Jason, who was taken into care when he was 11." "Some were featured in the notorious Sensation exhibition" Rudy Giuliani tried to shut down the Brooklyn Museum over. Closer to Andrea Arnold than to Ken Loach, says Felperin, its POV "inscrutable." The older Liz is played by a non-actress famous in England from reality shows. Daniel Landin's images (he shot Glazer's Under the Skin), in academy ration 16mm film, add some glam to the yuck. Hirokazu Kore-eda’s Cannes Palme d’Or winner is a heartrending glimpse into an often invisible segment of Japanese society: those struggling to stay afloat in the face of crushing poverty. On the the margins of Tokyo, a most unusual "family"—a collection of societal castoffs united by their shared outsiderhood and fierce loyalty to one another—survives by petty stealing and grifting. When they welcome into their fold a young girl who’s been abused by her parents, they risk exposing themselves to the authorities and upending their tenuous, below-the-radar existence. The director’s latest masterful, richly observed human drama makes the quietly radical case that it is love—not blood—that defines a family. A Magnolia Pictures release. CK COMMENT: Last month this became Koreeda's biggest box office hit in Japan with a take of $30 million . See the reviews cited in my remote Cannes coverage - this rated a very high 3.2 on the ScreenDaily Jury Grid - all of which lead one to conclude this is a must-see. The ever-unpredictable Christophe Honoré (Love Songs) returns with perhaps his most personal, emotionally rich work yet. At once an intimate chronicle of a romance and a sprawling portrait of gay life in early 1990s France, Sorry Angel follows the intertwining journeys of Jacques (Pierre Deladonchamps), a worldly, HIV-positive Parisian writer confronting his own mortality, and Arthur (Vincent Lacoste), a curious, carefree university student just beginning to live. Brought together by chance, the men find themselves navigating a casual fling that gradually deepens into a tender, transformative bond. Graced with vivid, complex characters and inspired flights of cinematic imagination, this is a vibrant, life-affirming celebration of love, friendship, and human connection. Released by Strand Releasing. CK COMMENT: The translaters mean "Sorry, Angel," to be a grammatical stickler: it's not a movie about a "sorry angel." Anyway, the French title, awkward to translate, is Plaire, aimer et courir vite ("To please, to love, and to run fast"). This film debuted in Competition at Cannes.It's Honoré's most autobiographical work to date, and lacks his "muse" Louis Garrel. It's not a musical like Honoré's Love Songs, but Les Inrocks has commented it's "as if each character had his or her designated playlist." This is an opportunity for the young Vincent Lacoste, whose well-demonstrated gift is for comedy, to costar in something more serious along with two other fine actors (also new to Honoré films), Pierre Deladonchamps of Stranger by the Lake (2013) and veteran film actor and Comédie Française member Denis Podalydès. I've followed Honoré all along and would welcome this early opportunity to see and report. The year 1990 was when Chile transitioned to democracy, but all of that seems a world away for 16-year-old Sofia, who lives far off the grid in a mountain enclave of artists and bohemians. Too Late to Die Young takes place during the hot, languorous days between Christmas and New Year’s Day, when the troubling realities of the adult world—and the elemental forces of nature—begin to intrude on her teenage idyll. Shot in dreamily diaphanous, sun-splashed images and set to period-perfect pop, the second feature from one of Latin American cinema’s most artful and distinctive voices is at once nostalgic and piercing, a portrait of a young woman—and a country—on the cusp of exhilarating and terrifying change. CK COMMENT: This actually is Dominga Sotomayor Castillo's third feature; the second was called Mar; and she co-directed a 30- minute film called La isla. Jay Weissberg is admiring of this new one in his Variety review; but he thinks it a bit over-long. It debuted at LOcarno. In Christian Petzold’s brilliant and haunting adaptation of German novelist Anna Seghers’s 1942 book Transit Visa, a hollowed-out European refugee (Franz Rogowski), who has escaped from two concentration camps, arrives in Marseille assuming the identity of a dead novelist whose papers he is carrying. There he enters the arid, threadbare world of the refugee community, and becomes enmeshed in the lives of a desperate young mother and son, and a mysterious woman named Marie (Paula Beer). Transit is a film told in two tenses: 1940 and right now, historic past and immediate present, like two translucent panes held up to the light and mysteriously contrasting and blending. CK COMMENT: The blurb above doesn't really spell it out, but it's an iportant aspect of Petzold's film that its WWII story is staged without any period trappings, thus reframing the Holocaust in the present and inviting links with today's neo-Naziism. A star-making role for Rogowski. 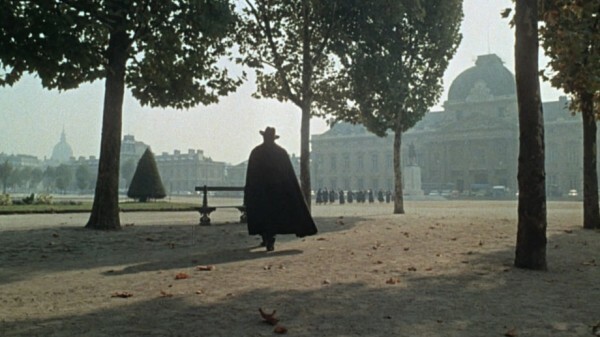 His character goes to Paris first, then escapes to Marseille after the Occupation starts. The chance opportunity for assumed identity and escape from the country, a love story, and noirish twists and turns follow. Guy Lodge's Variety review from the film's debut in the Berlinale make Transit sound provocative - and delicious. After being charmed by Jerichow (2008) at Film Comment Selects, I have been a fan, and I enthusiastically reviewed Barbara (NYFF 2012) and Phoenix (2014). This new one is his first in 13 years not starring Nina Hoss; her absence, Lodge felt, helps underline the film's intentionally pervasive sense of absence, emptiness and loss. In the impressive directorial debut from actor Paul Dano (There Will Be Blood), a carefully wrought adaptation of Richard Ford’s 1990 novel, a family comes apart one loosely stitched seam at a time. We are in the lonely expanses of the American west [Montana] in the mid-’60s . An affable man (Jake Gyllenhaal), down on his luck, runs off to fight the wildfires raging in the mountains. His wife (Carey Mulligan) strikes out blindly in search of security and finds herself running amok. It is left to their young adolescent son Joe (Ed Oxenbould) to hold the center. Co-written by Zoe Kazan, Wildlife is made with a sensitivity and at a level of craft that are increasingly rare in movies. An IFC Films release. CK COMMENT: After its Sundance debut, this was opening film of Cannes Critic Week. All the reviews (Metascore 82%) indicate this is a very solidly good watch with superior acting, a career best for Mulligan, an admirable literary adaptation, one of the year's best American films and a splendid debut for Dano. In Filmleaf's 2018 Sundance thread, I cited Owen Gleiberman's glowing review. This is worthy of being seen at the festival, even if it is going to be in theaters 19 Oct. Not sure I can get into the NYFF screenings, at this point, though. Last edited by Chris Knipp; 09-10-2018 at 08:59 PM. The Film Society of Lincoln Center has now announced its "Projections" series sidebar of the NYFF, which is devoted to experimental and avant-garde films. Find the preview here: CLICK. You will find the list here: CLICK. 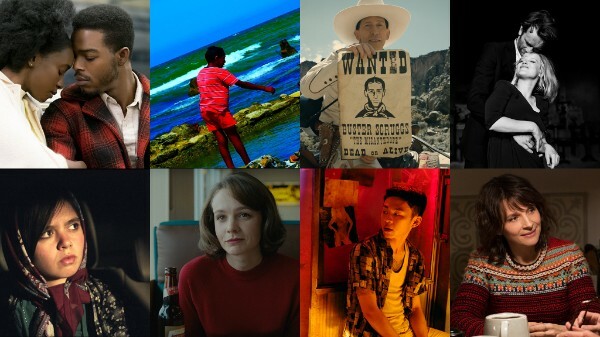 The Retrospective and Revivals sections have been announced for the 56th New York Film Festival, taking place September 28–October 14 at the Film Society of Lincoln Center. Last edited by Chris Knipp; 08-21-2018 at 02:28 PM. Thank you for the wealth of opinion and information provided; you're quite a resource for someone like me who doesn't attend the festival circuit anymore. What do you think of the Latin American choices in the Main Slate? I am just making a list of 15 I will see if I can''t see all of them but have to wangle passes or buy tickets at the festival as I did last year. There will be an emphasis on German, Polish, and Asian, it looks like. Rex Ingram’s World War I epic The Four Horsemen of the Apocalypse (1921), the breakout film for iconic silent actor Rudolph Valentino, will screen on a beautiful 35mm print from Martin Scorsese’s collection, accompanied by the North American premiere of a new live score written and performed by a five-piece orchestra led by Matthew Nolan. The sixth annual Film Comment Presents selections are Ali Abbasi’s genre-friendly fantasy-drama Border, which won Cannes’ Un Certain Regard award, and The Wild Pear Tree, an intimate portrait of a promising but adrift young literary graduate from Turkish Palme d’Or winner Nuri Bilge Ceylan (Once Upon a Time in Anatolia, NYFF49). In previous years, Film Comment has championed films such as Sergei Loznitsa’s A Gentle Creature, Terence Davies’s A Quiet Passion, Steve McQueen’s 12 Years a Slave, and László Nemes’s Son of Saul. The magazine will also host three live events: a roundtable discussion with a trio of NYFF filmmakers about their experiences as movie lovers and creators, a dialogue on representation in cinema, and a critical wrap report of the festival’s highs and lows. All three will also be recorded for the weekly Film Comment Podcast. Finally, the New York Film Festival is pleased to announce that the U.S. premiere of Main Slate selection If Beale Street Could Talk will take place at the world famous Apollo Theater, the first time that the festival will present a screening at the historic theater. The film was largely shot in New York City, including many Harlem locations. In celebration of the vibrant community and their support of the film, Annapurna, the Film Society of Lincoln Center, and the Apollo Theater will work together to present a host of outreach programs. Local students as well as Harlem residents will be among the first audiences invited to see the James Baldwin adaptation, in the neighborhood that is home to its characters. 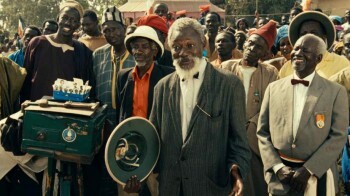 The film will also screen on the Lincoln Center campus during the festival. Last edited by Chris Knipp; 08-23-2018 at 05:27 PM. What do you think of the Latin American choices in the Main Slate? I wouldn't have a clue. I find out about new films from you. The last contemporary film I watched was Downsizing. I've liked all 7 features directed by Alexander Payne (Election, About Schmidt, Sideways, Nebraska) and this one no less than the others. I watched my two favorite films of 2017 for the third time. I think I understand them quite well now. They are The Death of Louis XIV and Mudbound. Zama and Foxtrot are the 2018 fiction releases that seem most memorable to me as I write these lines. The documentary The King also made a big impression on me. Last edited by oscar jubis; 08-23-2018 at 06:48 PM. I asked you about the Latin American selections because they leave me sort of cold even though maybe I should be excited about the Cuarón. So I was hoping you'd be excited about them. But it's only three, isn't it? Dominga Sotomayor, Mariano Llinás, and Alfonso Cuarón, the first two from Chile and Argentina, respectively. I haven't heard anything about them. Thought maybe you would have. A lot of the titles you may know about from my Cannes coverage. It's from Cannes that I was expecting the FSLC to include Garrone's Dogman, which sounds so interesting. Latin American is under-represented. The top titles seem to be Asian (top rated in reports and awards at Cannes). Two French titles I see as sort of FSLC "pets," Christophe Honoré and (his pet) Louis Garrel, plus everybody's pet, Claire Denis; maybe Assayas should be my pet;I've loved some of his films and some not. Downsizing isn't up to his other work at all, really pretty much a misttep. I did not like The King for all its ambition, but Zama and Foxtrot are very cool, I quite agree. I already commented on Death of Louis XIV and Mudbound, the latter I didn't review because I couldn't get through it. Last edited by Chris Knipp; 08-23-2018 at 10:34 PM. Because of my interests in cinema are broad, contemporary international commercial films have to compete with other things. For example, at the moment I am exploring films by Chicagoan Bill Morrison other than his masterpiece Decasia which I saw at a festival in which I met Morrison and had a chance to talk with him extensively. His filmography has been released on BR in the UK and I have a copy of this voluminous volume. I have also been paying attention to the (experimental) editing in 2 Dziga Vertov films: 3 Songs for Lenin and Enthusiasm. I am also still shocked by the anti-religiosity in his films. There's a segment in Kino Pravda about a Muslim girl being "liberated" by the revolution from having to cover her head. Enthusiasm begins with the removal of Christian icons from a church. Latin American is ALWAYS under-represented at US festivals because there is scapegoating of Latinos and immigrants in general throughout the US. Generally speaking, American film festivals and academic institutions are Eurocentric. Miami is the exception. Even in NY and LA I feel like a second class citizen, so I will stay put. Last edited by oscar jubis; 08-24-2018 at 12:13 AM. Some advantage has been lost since Richard Peña isn't Program Director anymore and Dennis Lim is program director. People notice a shift in taste. Peña was pals with Almodóvar and the Q&As with them were always a lot of fun. Last edited by Chris Knipp; 08-24-2018 at 01:26 AM. You certainly know more about contemporary Latin American cinema than I do. Last edited by Chris Knipp; 08-27-2018 at 09:39 PM.